My May wildflower photos have a big hole in the centre of the month when my attention turned away from gardening and picture taking. Such a shame because in this area of Oakville with all the trees, that's when most of the wildflower-action takes place. 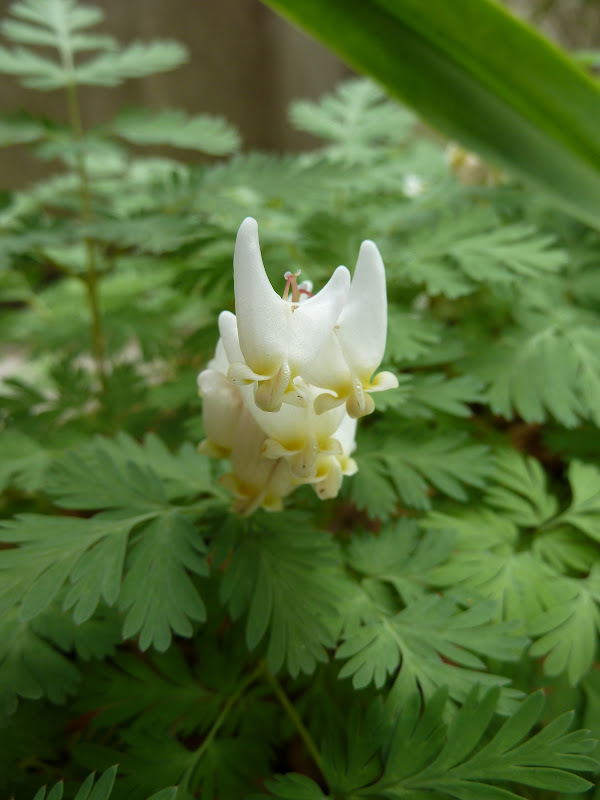 One of my all-time favourites is Dicentra culcullaria. Native to woodlands in northeastern North America, I rescued this plant from a garden of a house about to be razed. Like Trilliums the seeds are spread by ants. According to Wikipedia "...a process called myrmecochory. The seeds have a fleshy organ called an elaiosome that attracts ants. The ants take the seeds to their nest, where they eat the elaiosomes, and put the seeds in their nest debris, where they are protected until they germinate. They also get the added bonus of growing in a medium made richer by the ant nest debris." This little patch hasn't spread at all, perhaps I need to get my ants online? And this is what this little patch looks like this morning. You can see why you need a memory of steel or perhaps better, a little marker so you know where your ephemerals are hiding. One of the few true blue shade wildflowers: Mertensia virginica. There's nothing more breathtaking than finding an area of the forest floor covered in this sweet blue flower. Podophyllum peltatum or Mayapple, goes through miraculous transformations to get to this point. If you didn't know any better, you'd miss the pretty white flower beneath the leaves. Just one per plant - that will develop into an "apple" later in the summer. Perhaps the name Julyapple was taken? Another new name to learn! This is now Maianthemum racemosum - False Solomon's Seal. It came with the garden - probably came before the house did. It is a native woodlander that spreads slowly and has lovely red berries in the fall. There are patches of Stylophorum diphyllum blooming everywhere. Even now they are having to fight for space with the ever present invasive garlic mustard - you can see the battle below. Here's a little patch down by the lake this morning. And those little white flowers, more garlic mustard. Do you suppose somebody's gardener just dumped the old poppy plants mess when they had finished blooming. Not recommended, but it does make a gorgeous splash of colour against the grey lake and cloudy day. I'm taking a stab and saying this is Erigeron annuus - annual daisy fleabane. Not very much of it just yet. A big sumptuous patch of Polygonatum - Solomon's Seal. So that's my wildflower Wednesday contribution for this month. 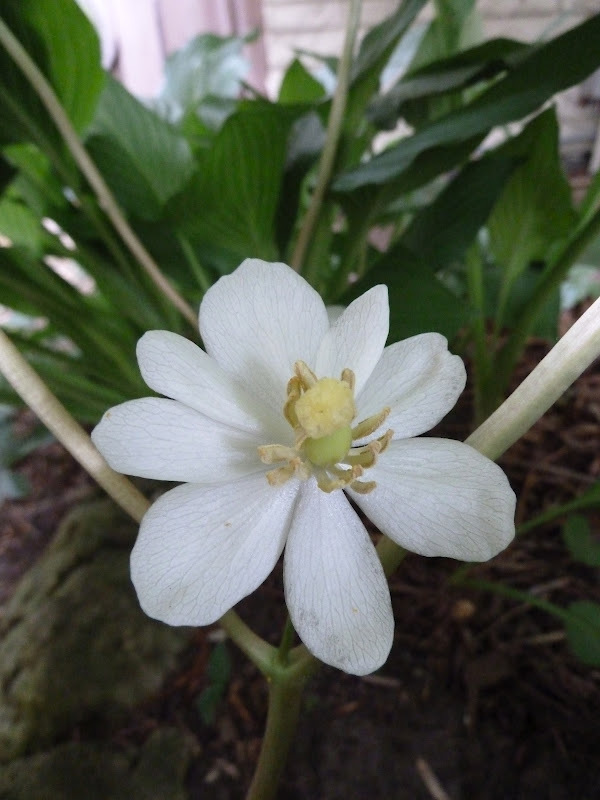 To tour the world of wildflowers on this wonderful Wednesday, please visit Gail at Clay and Limestone. Hi Barbara, Thanks for your nice comment on my WW post. I enjoyed seeing yours as well. That fleabane looks like one of the ones I am not sure about. My Virginia bluebells have gone dormant already. I have one spot marked with a stake with a bird or some decoration on it. I just need to remember to keep it there. The wildflower you showcase here are really beautiful. Such gorgeous pictures and such a wealth of diversity in the world of your wildflowers. I enjoyed my visit and thank you for visiting my garden. Happy Memorial Day Weekend! Your Mertensia are so lovely! I grew some from seed last year, only to have the leaves disappear in the pots, but I was surprised to see the little dormant roots left behind and planted them out, I hope they manage to grow this year, I haven't found them yet. I have many of the same wildflowers as you. Oh my, that Mertensia virginica is breathtaking on the computer, can't imagine seeing a patch of it in person.